I am a part of the local St. Louis indie developer scene, so when I can highlight other local developers, I do so. 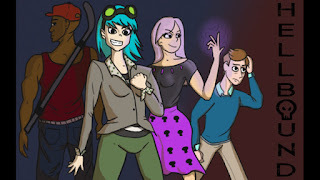 Adrian Barnello is a part of the scene as well, and his RPG, Hellbound, is currently on Steam Greenlight, able to be recommended by Steam users across the globe. If this interview with Adrian appeals to you, why not take the few minutes to look at Hellbound's Steam Greenlight profile and contribute a recommendation? With this new SPC Interviews entry, I talk to Adrian about the obvious inspiration between Hellbound and Nintendo's EarthBound, the story, the cast, the battle system, and a lot more in the span of a series of questions. Phil Stortzum (PS): What can you tell us about the story, main characters, and villains of Hellbound? Adrian Barnello (AB): The main four characters in Hellbound are Eyor (whose name can be changed at the beginning of the game), Maurice, Valerie, and Jay. All of the characters are pretty well developed, and can't be summed up very accurately in a short burst. At least, I can't do it, but then again I've thought about and built these characters from the ground up, so I'm probably over-thinking it. A group of teenagers, after a string of mysterious disappearances, holds a séance to try and get in touch with whatever force is responsible. Instead, they accidentally contact Satan, and end up getting wrapped up in a holy war between Heaven and Hell. After getting infused with demonic powers, the team sets out on a mission to take down the Archangel Gabriel's top dogs, and stop the angels from taking over Hell and Earth. Hijinks ensues. 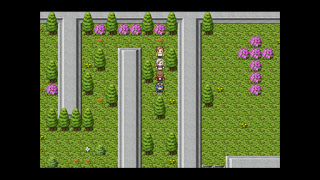 The game is partially a send up of the traditional set up of RPGs. In most RPGs, you play as a noble character, sometimes even chosen by God or some sort of holy spirit, and fight against evil. In Hellbound, you play as a group of characters that have sold their souls to the devil and fight angels. The main villains of the game are the Archangel Gabriel, the “Three Wise Men (who aren't so wise, naturally),” and the mega-church pastor Reza. PS: How many people helped with the development of Hellbound? What were their tasks? 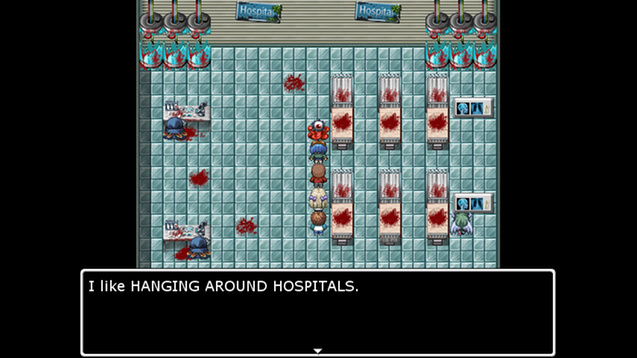 AB: I designed, wrote, and did all the grunt work on RPG Maker for Hellbound. I also drew most of the sprites, wrote most of the music, and did most of the testing that has been done on the game so far. Besides myself, my friend Devin Dessieux also did some testing and wrote a few songs for the soundtrack. I commissioned a friend of mine, Paige Andrews-Johnson, to make the title screen for me. Besides that, there have been a few testers that have not completed the game yet, but that's it. The game really was a pet project of mine, and it shows in the fact that I was responsible for almost everything the player experiences when playing Hellbound. PS: What program did you use to develop and design Hellbound? PS: How long was development of Hellbound? Did you hit any snags during development? AB: I started making Hellbound in January 2015, and worked on it pretty much non-stop until the rough draft was completed in June the same year. I worked on the game a lot, staying up until four or five in the morning regularly to get it done. I say the game is a 'rough draft,' but really all that needs to be done is testing and editing (which is easier said than done, apparently). Once I completed the 'rough draft' I made the Greenlight page. There weren't any huge snags in development, other than the lack of support on the Greenlight page and the difficulty finding reliable testers. PS: What was the most difficult part of development for Hellbound? AB: The most important part of developing Hellbound, and going forward, has been my inability to find game testers that are interested, and have enough time to complete the game. Hellbound is a pretty long game, spanning about 15 hours. 15 hours is considered, by some, to be epochal for an indie game. The kind of people I'd like to test the game, I find, don't generally have a lot of free time, and when they do their time is already dedicated to other interests. It can be hard to peel people away from Facebook, League of Legends, and Netflix to test my indie game when I don't have any money to throw at them. PS: Is there anything you’d do differently with development of Hellbound looking back? AB: If I could go back in time, I'd try to find a stronger network of people to work on the game with me. I really appreciated what help I did get, but taking charge of almost every aspect of the game was a daunting task. I'd also spend a little bit more time refining the battle system, and attempt to secure some sort of funds that I could use on advertising and/or paying people to test the game. 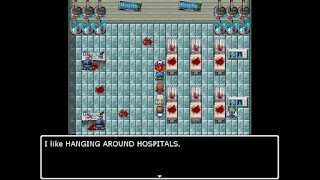 PS: What can you tell us about the battle system for Hellbound? AB: The battle system for Hellbound is really old school. The combat is most similar to Earthbound, or the old Dragon Quest games for the NES. If I could go back and rework the battle system I would (and perhaps I will before I eventually get to release the game to the public), but I think it's functional and I like the simplicity. 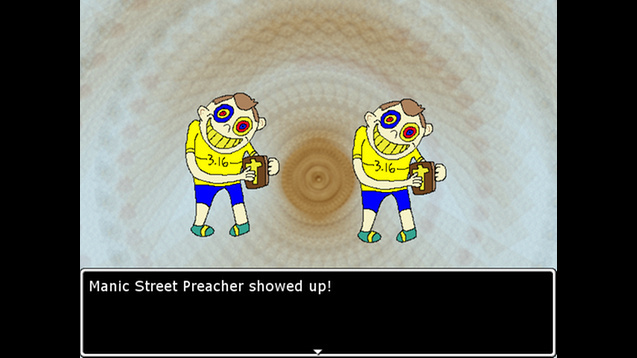 PS: Hellbound obviously has a lot in common with Nintendo’s EarthBound on the Super Nintendo, no doubt inspired by it. What did you do to try to make your game stand out in comparison? AB: EarthBound was, undeniably, the biggest influence on Hellbound. Everything about EarthBound is fantastic; the graphics, the music, the story, the game play... It's a flawless game, in my opinion. Hellbound could never hope to live up to that, so I tried to make the game in a way that would set it apart from EarthBound, while still embracing the influence. The comparison between EarthBound and Hellbound is 100% justified (I mean, just look at the names), but I think there's a couple things that really set my game apart: The music, the tone, and the characters. EarthBound's soundtrack is fantastic, and I didn't try to replicate it for Hellbound. Instead, I used a lot of real instruments, and samples that featured real instruments, when making the soundtrack. Earthbound's tone is fairly lighthearted throughout the whole game, with deeper meaning and existential questions lurking underneath the surface. Hellbound is fairly goofy throughout, as well, and features plenty of blue humor, but I would argue that Hellbound eventually goes places that EarthBound doesn't go. I won't spoil anything, but I think once people play the game they'll know what I'm talking about. Lastly, I think the characters in Hellbound really make the game stand out. Ness is great, but he's great because he's a foil of a speechless protagonist. The other main party members in EarthBound are fine, but they don't say much, and most of their personality is implied. I think this is a strength of the game, actually, but I decided to go about it differently in Hellbound. The four person party in Hellbound is full of developed, circular characters that I think players will be able to relate to and appreciate. So, there are a lot of similarities between EarthBound and my game, but I think they're discernible enough that they're not the same game, and people wont get the same experience from both games. If that were true, I'd instruct people just to play EarthBound. 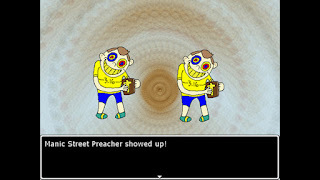 PS: What games other than EarthBound did you draw inspiration from for Hellbound’s development? PS: Hellbound is currently on Steam Greenlight. What do you like and dislike about the process of being greenlit? AB: The Greenlight process is great in some respects and really lame at the same time. I feel like there's a lot of potential to build a community around your game, and release it to a crowd of people that already want to play it, and have been following it from day one. This potential is definitely there, but I feel like most of the time people only leave a comment when they have something negative to say, and often times their negative opinions are pretty ill-informed. I received a lot of negative comments on my game, and my game's trailer, in the first couple weeks of my Greenlight campaign. This was really disheartening to me, and I consider myself to be someone with a steely resolve when it comes to things like this. I could see the stress of the Greenlight process being a big turn off for small-time game devs who just want people to play their game. Besides this, there's a lot of content that gets onto Steam Greenlight that gets attention, and really doesn't deserve it whatsoever. Things like simulators of using the toilet, blatantly offensive games, or games that feature extreme copyright infringement tend to get a lot of attention. Of course, usually this attention is negative, but it's still attention that your game (that you spent hundreds of hours making) isn't getting. This can also be disheartening. I think Greenlight is a good thing if you've got a network of people, and a budget. I don't think it's a good idea for a small-time dev to jump right in expecting magic to happen. Also it costs a hundred dollars. Ouch. PS: Do you have a personal favorite character in Hellbound? If so, who and why? AB: My favorite character in Hellbound is definitely Valerie Kaplan. She's one of the main characters, and might actually have the most lines in the game. She's the party's black mage, basically. She's got a really fun personality; she's really tsundere, and was a blast to write. I feel like I got in a really good groove with Valerie, and made a really likable and memorable character. If I ever make a sequel, I'd like to work Val into it somehow. Maybe I'll just make a spin-off centered around her, like “The Misadventures of Tron Bonne” or something. PS: Which enemy sprites in Hellbound are you most fond of? Why? AB: This is the Angel of Death, a very late game boss. I really like this sprite, and based it off off a Renaissance painting, which can be found here. I had a little input on this sprite via my Tumblr page, and I think it ended up looking really cool. I like this one a lot too. I like the ghostly texture, and the way its face came out. It looks pretty creepy, for a goofy sprite that I drew in Gimp. This sprite is actually based on a reoccurring nightmare I had when I was a kid. My parents used to have a weird Victorian plaster bust in our house, which was obviously phony and not from the actual Victorian era. The bust was of some queen, but I'm not sure which one. Anyway, I used to have nightmares about it coming alive / being possessed and terrorizing me in various ways. This nightmare was, in large part, probably caused by me watching the “Haunted Mask” episode of Goosebumps when I was really, really young. If you've ever seen that episode, you'll know what I'm talking about. Yikes! PS: What was the most fun part about developing Hellbound? AB: Pretty much everything about making Hellbound was fun. I really liked talking about the game with my friends, and drawing the characters over and over again. I'd say the funnest thing was drawing the enemy sprites. I got markedly better at drawing the sprites as production of the game went on (the two sprites picked as my favorites were actually made quite late into production), so it was cool to see me getting better as time went on. I had such a good time making the sprites that I actually went back and redrew some of the early game sprites. I'd say a close second would have to be writing the dialogue, especially Valerie's lines. PS: Do you have any words of encouragement for other people wanting to make their own games or RPGs? AB: Making a game, especially an RPG, is very fulfilling. Writing the characters, designing the game, drawing sprites, composing music, all of these things can give a game developer that warm, fuzzy, job-well-done feeling during and after the project is complete. I think game making can be an exceptional emotional outlet for people, and I'd recommend it to anyone who can commit themselves to sticking with it. Making games can be tough, and at times discouraging, but I'd urge anyone trying to make a game never to give up. Work on your game at least a couple times a week, and always keep the project moving. The feeling you get when someone actually does play your game, and enjoys it, is unreal. PS: Anything else you’d like to say to the readers of SuperPhillip Central who might be interested in pursuing Hellbound? AB: Be sure to throw me a yes vote on Greenlight, since finally passing through would be a great inspiration for me to finish editing the game. Other than that, leave a comment on this post, or on the Greenlight page, or on the game's Facebook page telling me that you'd like to play it. If I can get some positive attention, I'll be motivated to complete the game. At the moment, I'm busy with law school and haven't had much positive feedback on the game, so it's hard to find the motivation to edit it and complete it. If I have the positive energy, but still don't get through Greenlight, I'll likely post the game on Gamejolt or something like that. My thanks to Adrian Barnello for his time and thoughtful responses to my questions. If you like what you've read, definitely give a "yes" vote to Hellbound on Greenlight. Stay tuned for future installments of SPC Interviews with even more fresh faces of the independent gaming scene both local and worldwide!